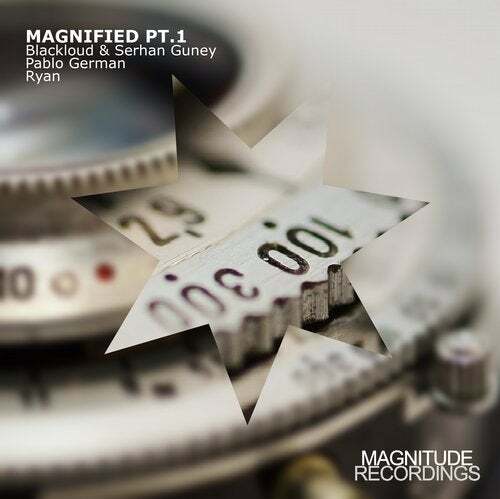 Francesco Pico's Magnitude Recordings label has been on a roll ever since it re-launched under the wings of the Manual Music record company, firing out one progressive house bomb after another, presenting artists such as EANP, Golan Zocher, Kasper Koman, Pole Folder, Namatjira and of course Francesco Pico himself amongst others. Now it's time to introduce a new concept to the label; the Magnified various artist EP series. A perfect way to give talented up-and-comers a platform to showcase their awesome music to the world. We kick off the release with the Prague based artists with Turkish roots: Blackloud & Serhan Guney. A talented bunch which we've got our eye on for a while and 'Particular' shows exactly why. Stellar production skills and an intense, dreamy, arpeggiator driven vibe make this an excellent Magnitude debut. Pablo German has already released his music on Magnitude's affiliated labels Manual Music and MNL and surely has his place on Francesco's label as well with his tribal Balearic progressive house sound. 'Destino' makes you long for the feeling of sand between your toes and a cocktail in your hand. Newcomer Ryan also hails from Argentina and came to our attention the oldschool way: by sending a demo to us that really stood out from the masses and that captured the vibe of the Magnitude Recordings label perfectly. Have a listen to 'Strong Ant' and we're sure you're as convinced as we are.